Most common applications: chemicals such as electroplating, photo engraving, textiles treatments, detergents, chemical products bottling, batteries, glass and precious metals processing. All parts manufactured in thermoplastic materials offer the necessary chemical resistance. No metallic parts are in contact with the product. Magnetic transmission translates into free-sealing and ATEX-standard compliant. Magnets transmit the motor and the impeller requiring no contact between them. This configuration does not require the seals and avoid leaks. 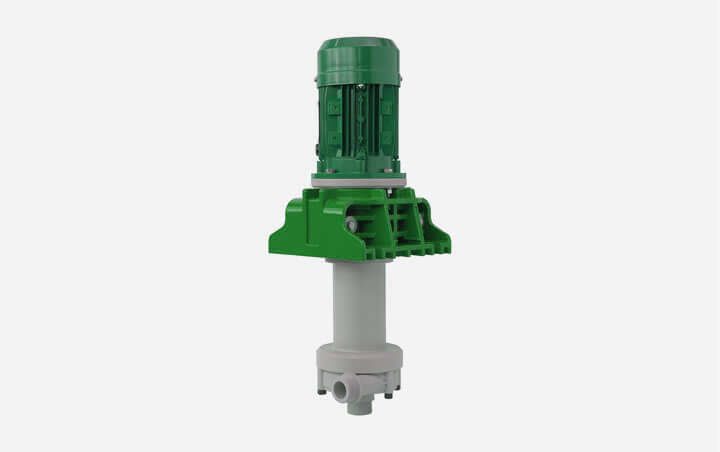 It is also ATEX-standards compliant. 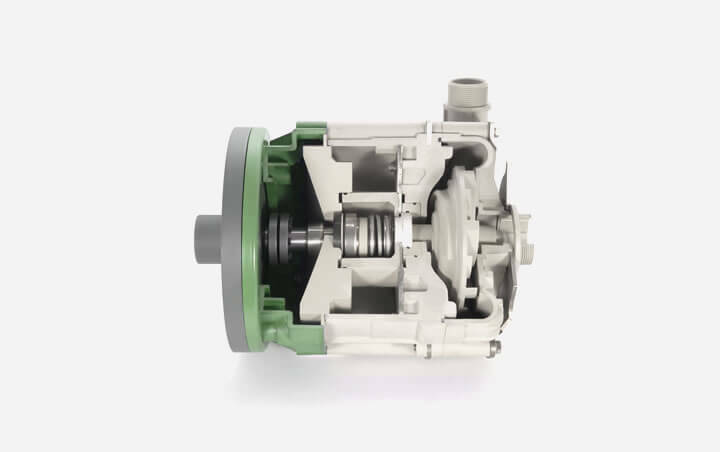 Our magnetic transmission tolerates the products with solids of up to 0,25 mm and viscosity of up to 15cSt. 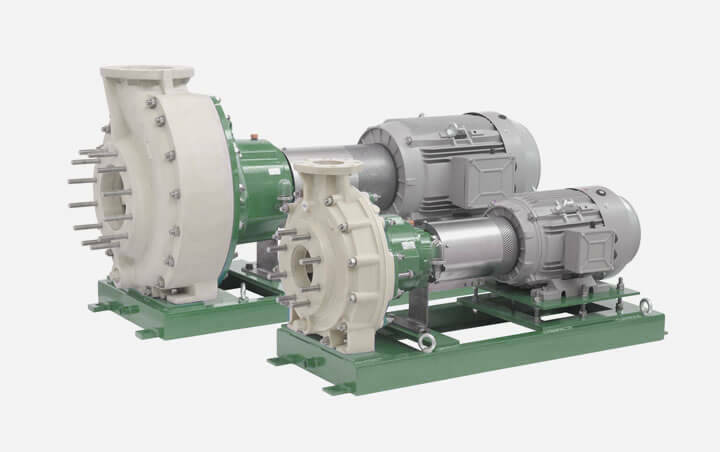 In the mechanical transmission model, products may contain solids of up to 1 mm and viscosity of up to 250 cSt. Only suitable for loaded installations. 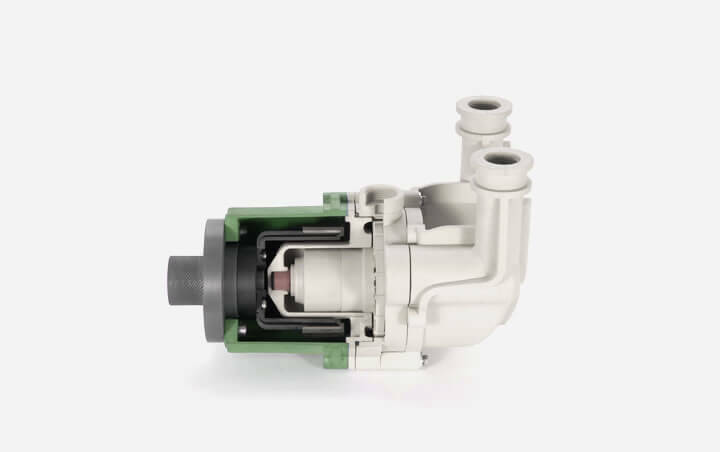 Available in both configurations: with monoblock or bearing housing with semi elastic coupling.